Our friends at the Library and Information Technology Association have published a brand new guide to becoming a digital librarian. I’m very grateful to editor Jane Monson, who has written today’s guest post. Not only will you get a glimpse of some of the topics covered in the book, but she’s put together some great advice for library students and entry level librarians. During the past decade or so, the job title of “digital librarian” has become increasingly common as more and more libraries move their content and services online. 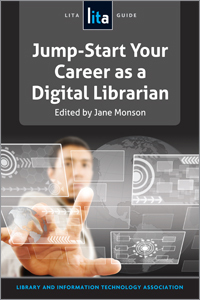 In my recently published book, Jump-Start Your Career as a Digital Librarian: A LITA Guide, the specifics skills needed to position oneself for a job in this brave new world of librarianship – among them, familiarity with metadata, digital preservation, and web development – are explained by a cadre of experienced professionals in the field. However, when it comes to job searching, the would-be digital librarian faces the same challenges as any other new professional: namely, to stand out in an over-crowded field and somehow find a position that balances both desires (to land a dream job) and needs (to pay the bills). With that in mind, I would like to share a few kernels of wisdom that both the book’s contributors and I have gathered in our own employment searches, as well as our experiences serving on hiring committees. Much of this advice is specific to entry-level librarians, as they are usually the ones with the greatest obstacles to employment. Lay the groundwork during library school. In their chapter, “Getting the Most Out of Library School,” authors Micah Vandegrift and Annie Pho discuss ways that the savvy student can take optimal advantage of the opportunities available in library school and emerge as a desirable job candidate. They recommend surveying the job landscape early and often (ideally, before you even begin school); being creative with your coursework and fashioning your own specialty if your program doesn’t offer exactly what you want; putting in work through part-time jobs, practicums, internships, and volunteer work; and connecting with others through online and traditional venues. Knowing what skills employers are looking for by scanning job ads is a good way to target courses and part-time jobs that will give you the best experience in your chosen area. Some schools offer specialized tracks (for example, in digital libraries), but if yours doesn’t you can often create a close approximation using the DIY approach, cobbling together courses from other departments and initiating independent studies. Be willing to spend time outside of school teaching yourself relevant technology skills and keeping up on the latest journals and trade publications. Take advantage of any opportunity to attend professional conferences and workshops, and don’t be afraid to jump into online networking to get your face and name out there. Get as much work experience as you can while in school. Of the items listed above, “putting in work” may well be the most critical. It seems unfair, but the sad truth is that employment begets employment. Many a new librarian, digital or otherwise, has complained that employers seem unwilling to train new hires with little prior experience. Therefore, one of your main jobs while in library school is to train yourself, outside of the classroom. Don’t graduate without at least one volunteer gig, graduate assistantship, or other library-related job on your resume (and ideally several). If this isn’t possible for you to do, think carefully about your decision to enter library school – unless, of course, you already have significant library work experience prior to enrolling, or you don’t plan on using the degree to work in a library. When choosing a graduate program, weigh heavily the opportunities for students to find work in libraries on campus and in the surrounding area. These experiences are often more important than the classes you take. Be willing to relocate. There may be some fields that will easily allow you to go to school, undertake a career, and retire all in the same place. Librarianship, unfortunately, is not generally one of them. One important point that Elyssa Sanner and Catherine Wagner make in the chapter “Landing Your First Job,” is that unless you are willing to wait around for a relevant position to open up in your geographic area, the surest way to find a job after graduation is to cast your net as widely as possible. This is not to say that no one ever finds jobs within a targeted location, but these jobs are more likely to require a compromise – they may be part-time, or not in the area you trained for. Limiting yourself geographically may not allow you to make the best use of your library degree, and is bound to make the job search that much more difficult and drawn-out. A reality of librarianship today is that you may have to “pay your dues” by taking that all-important first job in a less than desirable location. But once you have those first years under your belt, you will have much more leverage to go after your dream job in your dream place. The book has many more tips for navigating library school, applying for your first job in the field, transitioning from one area of librarianship to another, and further developing your career (Roy Tennant has some great advice in this chapter). It offers a wealth of information for both digital- and non-digital librarians alike, culled from the collective wisdom of more than twenty contributing authors – many of them hiring librarians themselves. I’m sure I can speak for all of them in wishing you good luck in your job search! Jane Monson received her MLS from the University of Iowa, where she was an IMLS Digital Libraries Fellow. 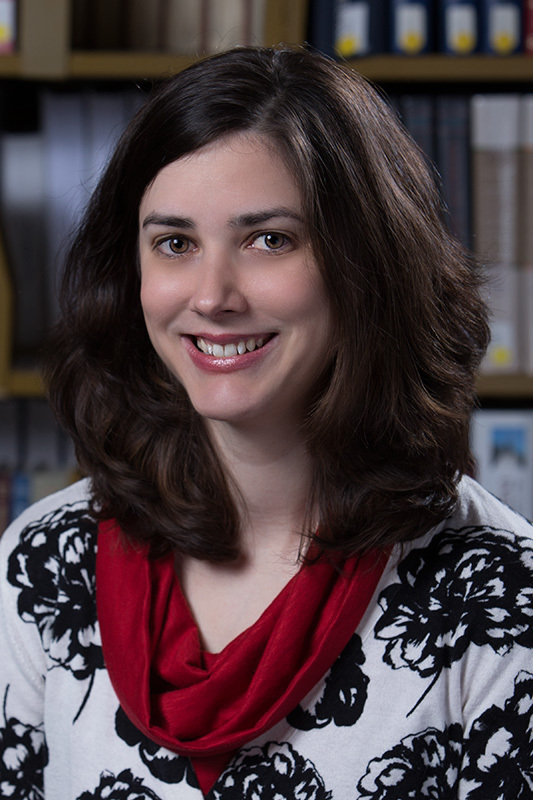 She is currently Digital Initiatives Librarian at the University of Northern Colorado; previous to that she was Digital Projects Librarian at Truman State University. She has been published in Computers in Libraries, is a book reviewer for the Journal of Electronic Resources Librarianship, and serves on various ALA editorial committees.